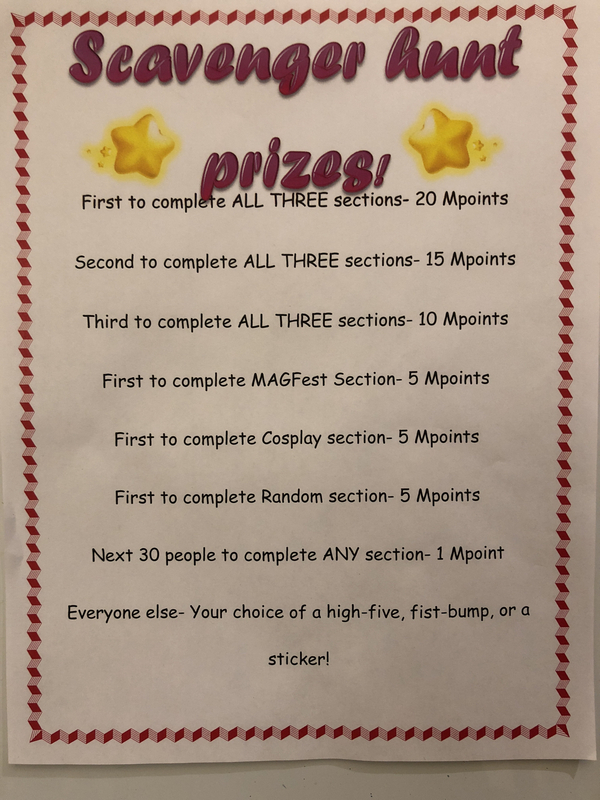 Scavenger Hunt list of prizes! Grand prize is 20 MPoints! Pick up a copy by the lanyards at Registration, info desk, or at Scavenger Hunt HQ by the tabletop library!